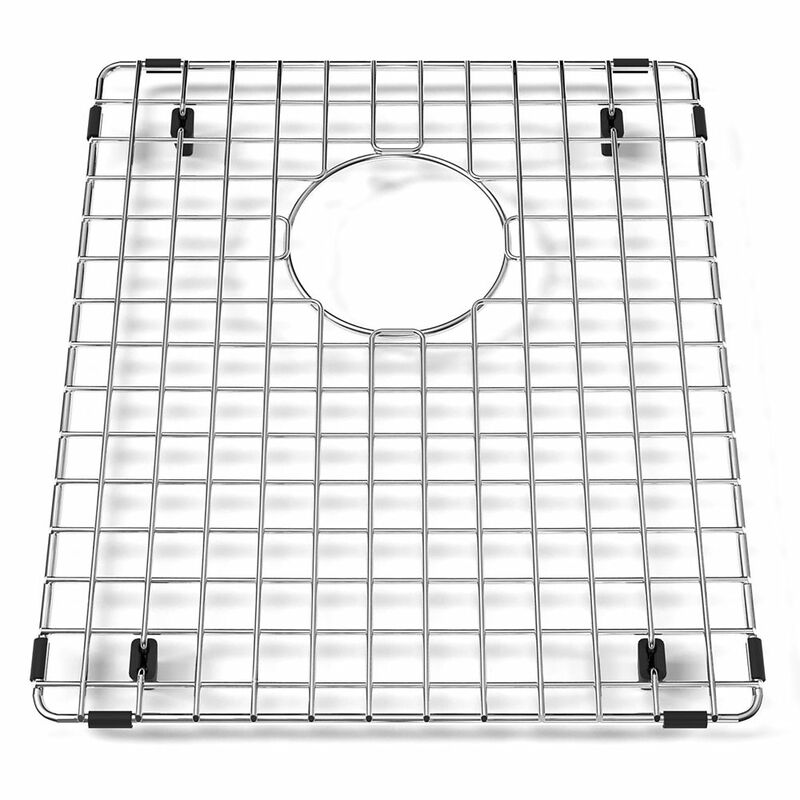 Kindred SS wire bottom grid - 14-7/8" X 12-3/4" X 1"
Stainless steel bottom grid to protect sink bowl from scratches. Includes rubber feet, side bumpers, and hole for access to sink waste hole. Dishwasher safe and heat resistant. SS wire bottom grid - 14-7/8" X 12-3/4" X 1" Stainless steel bottom grid to protect sink bowl from scratches. Includes rubber feet, side bumpers, and hole for access to sink waste hole. Dishwasher safe and heat resistant. SS wire bottom grid - 14-7/8" X 12-3/4" X 1" is rated 4.0 out of 5 by 1. Rated 4 out of 5 by Retired from Heavy duty, well designed rack Would have given it 5 stars except, it's very expensive for what you get and the sink should have come with these racks as standard equipment. Sink basically unusable without the racks.